Make your sales process efficient. Organize, assign and manage leads in no time! ClinchPad is a small business CRM software that helps you close more deals instead of maintaining silos of unworthy customer data in spreadsheets. Move your focus to each and every deal, create custom stages to fit your business needs and start paying attention to your sales pipeline. 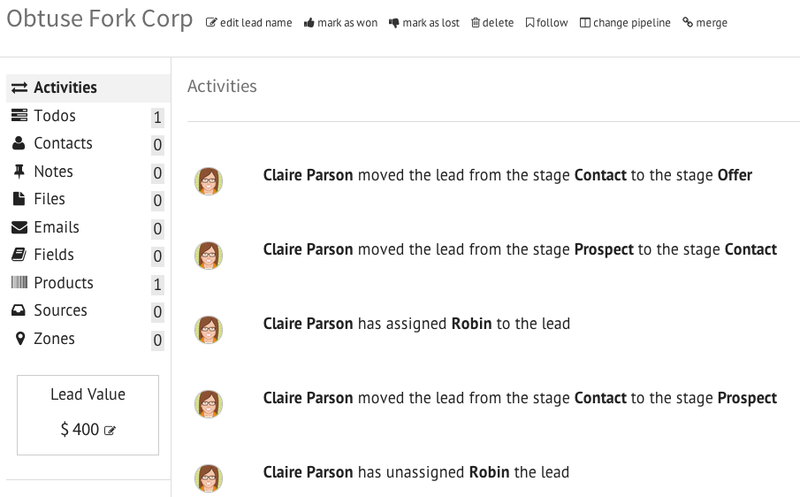 Sales pipeline management will become a breeze thanks to the user friendly interface of ClinchPad. 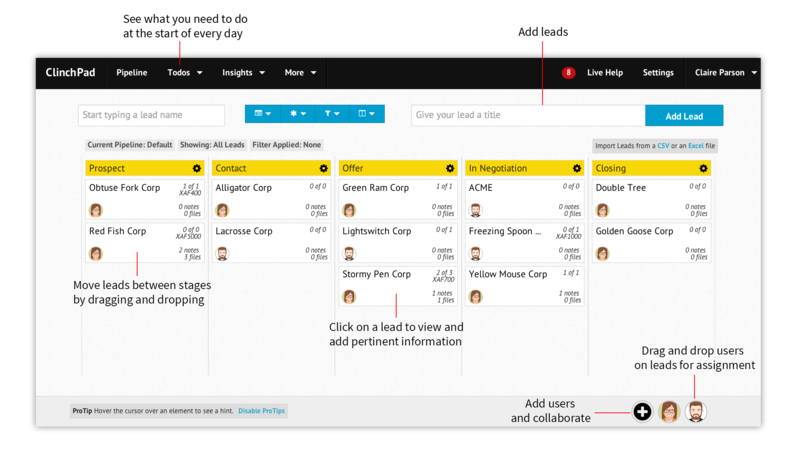 You don’t have to jump between multiple pages to manage your sales pipeline either. From a single screen, you can stay on top of the entire sales process and all the stages of the deals in your sales pipeline. Our online sales CRM allows you to easily create multiple sales pipelines and manage them all with just a simple drag and drop! To speed up your sales process, quickly create a todo list and assign tasks to your team. Give them specific instructions to close a deal by leaving detailed notes. 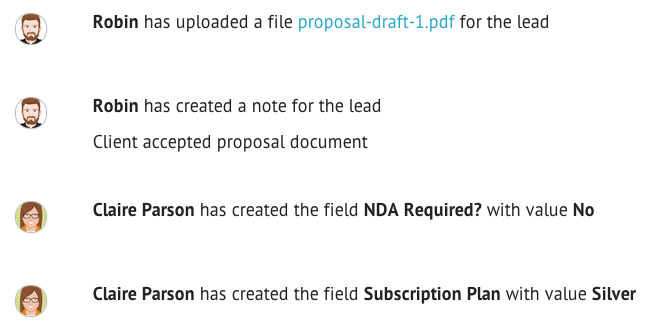 Upload all essential documents, presentations and contracts to respective leads. Improve sales team collaboration by turning on email notifications. Switch to the daily activity stream to see what your team members are working on at all times! ClinchPad is an easy to use sales management software that breaks down your sales funnel and presents it as easy to understand charts. Track the health of your sales process across the various stages of the sales pipeline from our sales dashboard. 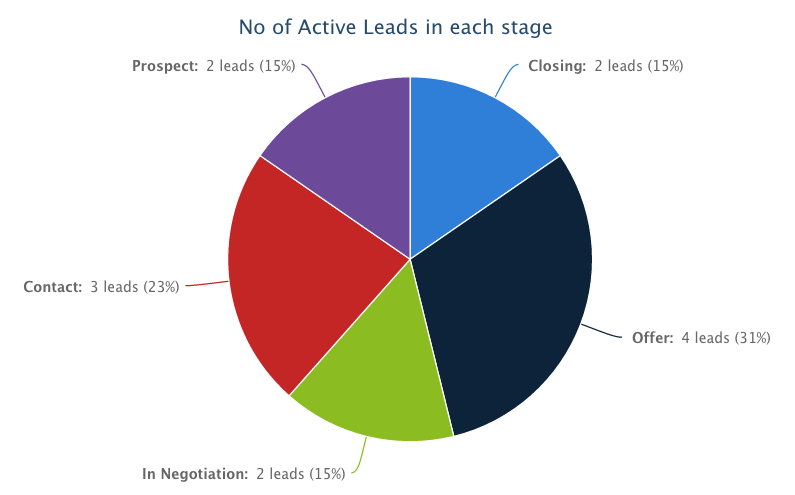 Our preset sales report charts give you a break up of the entire sales funnel and the active leads in each stage. Tracking the entire sales process and the sales cycle has never been easier!